Guaranteeing access to the appeal to all refused claimants. Guaranteeing the right to counsel at the interview. Preserving full access for all, including refugee claimants, to a humanitarian and compassionate application, including a full examination of the hardship of removal from Canada as well as the best interests of any affected child. These important changes came about thanks to the commitment of Members of Parliament from all parties, and the impassioned advocacy of thousands of organizations and individuals across Canada. However, there are still serious concerns with the bill. The introduction of a list of “designated countries of origin” is wrong on principle: refugee determination requires the assessment of an individual case, not judgments on countries. It is also a serious mistake to politicize the process by listing countries. The interview, requiring claimants to be prepared to immediately tell their story to an official, risks hurting the most vulnerable refugees, including women who have been sexually assaulted and persons persecuted on the basis of their sexual orientation. Bill C-11 in its amended form passed third reading at the House of Commons June 15, and is now being considered by the Senate. It is expect that the bill, without further amendment, will be passed and received Royal Assent in the next few days. Our work will continue beyond the adoption of Bill C-11. It will be crucial that it be implemented with careful attention to ensuring the full protection of all refugees, in order to minimize the negative consequences of remaining weaknesses in the law. The CCR is encouraging the government to consult fully on the rules and regulations, which will determine many of the details of the refugee system. In response to the CCR’s report, “Detention and Best interests of the child” (available at http://ccrweb.ca/documents/detentionchildren.pdf), Canada Border Services Agency wrote to the CCR in May to say that they will undertake a review of current detention guidelines and their application. The goal of the review is to determine how they may be improved or clarified to support “the best interests of the child” and “detention as a last resort” for children. The CCR is looking forward to being consulted as part of this review, which will, we hope, lead to fewer children being held in immigration detention in Canada. From 3-5 June 2010, refugee and immigrant rights advocates from across Canada were in Ottawa for the Canadian Council for Refugees 2010 (CCR) Spring Consultation on the theme Solidarity and Protection: Our obligations at home and abroad. Thank you to everyone who helped in making the Consultation a success! If you attended, we hope that your experience at the Consultation was a rewarding one and we look forward to working with you in the future. 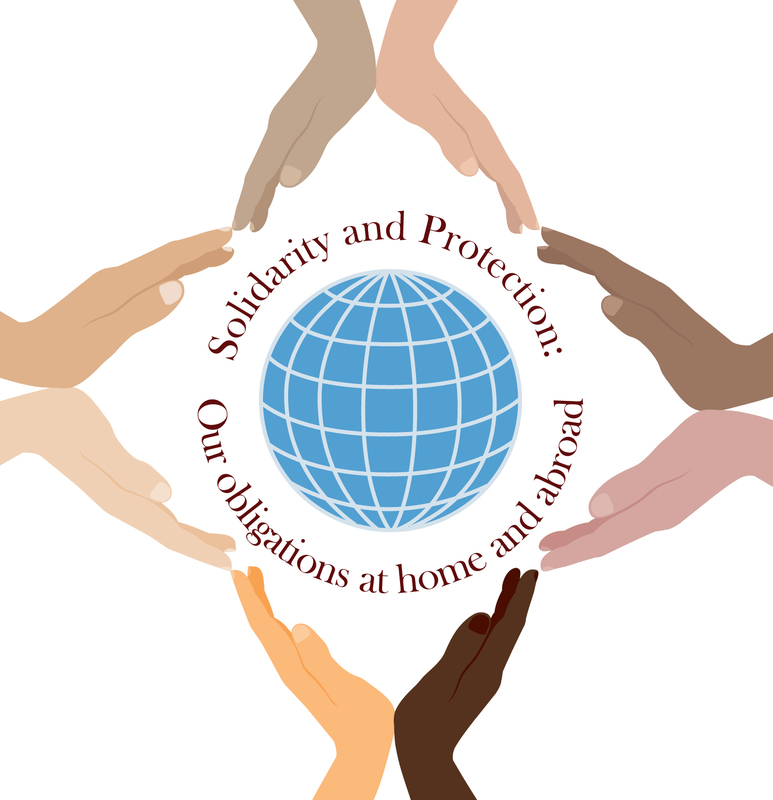 Do you want to be part of efforts to promote rights for refugees? Want to participate in in-depth discussions on pressing issues affecting refugees and immigrants in Canada? Looking to share information and strategies with others from across Canada? Come to the CCR Summer Working Group meetings in Montreal! advance many of the projects and positions adopted during CCR Consultations. look at issues in greater depth and plan local and national actions, all in a setting that encourages greater individual participation. become more involved in CCR activities at the national level, lending your experience and perspectives to the CCR’s work. get to know others working on issues affecting refugees and immigrants. see links between many issues nationally and locally, and how they are relevant to our work with refugees and immigrants. Who: All interested NGO representatives and individuals. The CCR encourages broad participation. The meetings are closed to government and media. Two new resolutions were adopted by CCR members during the General Meeting that took place in Ottawa on June 5th. The Overseas Protection and Sponsorship Working Group brought forward the resolution Equitable Access in Africa and the Inland Protection Working Group sponsored the Don’t Ask, Don’t Tell Policy resolution.